If you were to stand and walk in my shoes, you'd see the world through the green eyes of a white woman who is five foot five inches tall on a good day, and fifty-four years old. If you were to stand and walk in my shoes, you'd see the world through the eyes of a mother who, in profound ways, lost her son the day he was born. You'd see the world through the eyes of a woman who thought she'd grown up in an all-American family, one that later fractured under the weight of decades-long grievances, grudges, resentments and contempt. You'd peer through the eyes of the youngest of six who tried to be the glue that held that family together and, though she hadn't been asked to take on the role, she now yearns to surrender. If you were to stand and walk in my shoes you'd see the world through the eyes of a woman who—literally—swam a few too many painful miles, failed too many of life's trials, though perhaps gained something from effort and defeat. You'd see the world through curious eyes keen on travel, eyes that are drawn to others who—though they may look, speak, worship or live differently—like the rest of us, still love and hope, bleed and weep. You'd see the world through the eyes of a woman who makes friends easily, keeps promises, champions justice, and holds honesty, empathy and charity in high esteem. You'd see the world through the eyes of a woman who followed the man she adores to a remote state that at times, somehow, still doesn't feel all together like home. If you were to have walked along in my shoes these past fourteen years, you'd see the love for a son who has suffered too many seizures, taken too many antiepileptic drugs, endured two awful benzodiazepine withdrawals, but is benefiting from cannabis oil. You'd see a teenage boy who can't quite ring a doorbell by himself, wears diapers, is still fed with a spoon, can't talk, can't dress himself, needs help walking and spotting up and down stairs, and doesn't know how to play with toys. 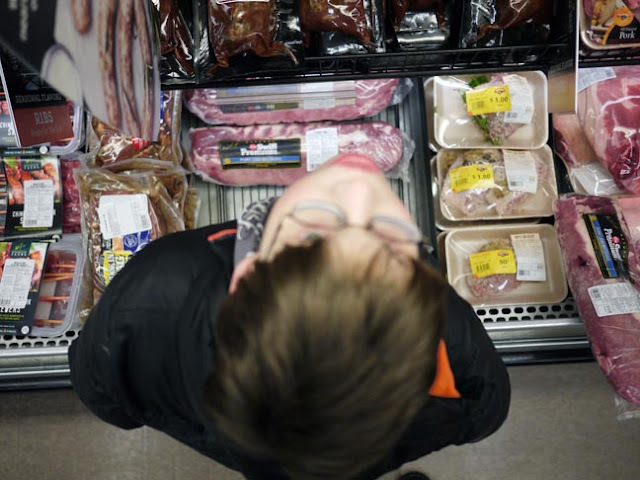 You'd see a boy who likes nothing more than to walk, hug, hang out in the meat department, take baths and eat. You'd see into a soul that yearns for him to be well, to stop having seizures, to be able to say what is hurting, to have friends to play with, to be safe in the world. If you were to stand and walk in my shoes, you'd see the world through cautiously optimistic eyes, though ones that have become somewhat cynical over the years. You'd see the world through a lens that is at times bitter and resentful, though immensely forgiving and grateful for the fortunes of a decent life—albeit one with a disabled child. You'd see the world through the eyes of a writer who tries to tell her son's story which is also her own, who lives for spring and flowers and sun, who pines for the West, and craves for the freedom to simply move about the world. I love reading your words. How well you know yourself. I deeply miss you. This breaks my heart, but I think that is because I am not as strong and as brave as you are. Keep going!!! This breaks my heart, but I think that is because I am not as strong or as brave as you are. Keep going. Beautiful. Thanks for sharing who you are and your journey. The world is a better place because of it. I admire your courage, your honesty, and your beautiful eloquence.